England will play the Netherlands in the semi-finals of the inaugural UEFA Nations League. The tie will be played in Guimaraes in Portugal on Thursday, June 6, 2019. Portugal will play Switzerland in the other semi-final on June 5 in Porto. The winners will then meet in the final on June 9, with a third-place play-off on the same day. England manager Gareth Southgate said he has watched the Netherlands "closely" since Ronald Koeman took over and believes they are a "similar" team. "It will be a game of good technical ability, high energy and a lot of pace," Southgate said. "All four teams are very evenly matched. Everyone will feel they've got a good chance - and we're the same." England's last competitive victory over the Netherlands came in Euro 96, a match Southgate played in. "It was one of my most memorable nights in football," Southgate said. "The colour of the occasion, when the Dutch play in stadiums it's half full of orange, it's a very memorable sight. "They're great nights to be involved in and that night, we played exceptionally well. It was probably one of the best England performances in my lifetime. Hopefully, we can put on that sort of level of performance again." Southgate's side were 1-0 winners the last time they met, in a warm-up fixture for the 2018 World Cup. Jesse Lingard scored the only goal in what was Koeman's first match in charge of the Dutch. The Netherlands did not qualify for the World Cup but have since beaten Germany and France on their way to winning their Nations League group. "They've already improved," said Southgate. "Ronald had only had them for three days. I'm not surprised given his calibre as a coach that he's made a big difference already. "We know some of their better players from the Premier League but they have some really good ones emerging in the Dutch league as well. "It's going to be a really good test for us. Our players will be looking forward to the summer." 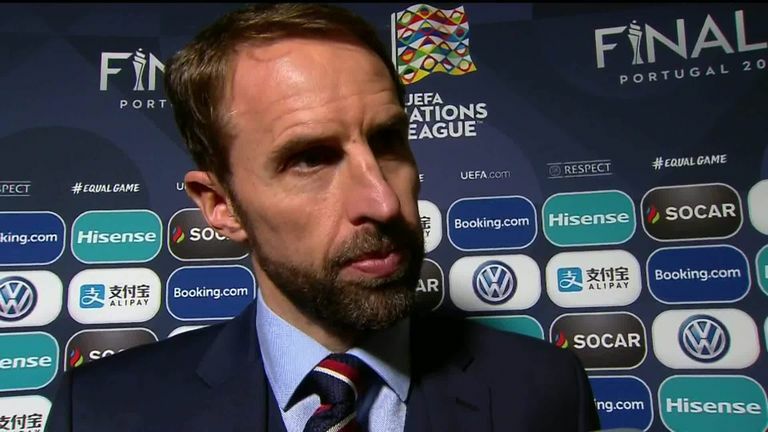 Southgate's side qualified for next summer's Finals in Portugal after topping their group ahead of Spain and Croatia.